If you are refinancing a home loan, especially if you have never applied for refinancing before, you may have questions about the refi loan process. Here are some of the most common refinance loan questions and answers. March 16, 2019 - If you are refinancing a home loan, especially if you have never applied for refinancing before, you may have questions about the refi loan process. Here are some of the most common refinance loan questions for first home owners, first-time refinance loan applicants, and those who haven’t applied for credit in a while. These answers will help you be better prepared when it’s time to fill out loan application paperwork. 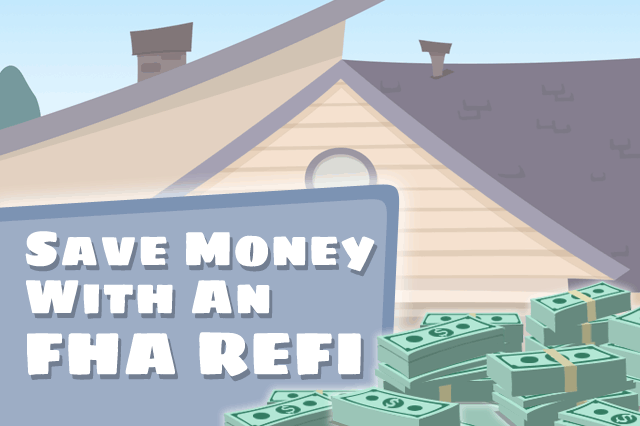 Who Can Refinance With an FHA Mortgage? Any financially qualified borrower may apply for an FHA refinance loan even if the original mortgage is a non-FHA loan. You do not have to have an existing FHA mortgage to consider an FHA refinance loan. Do I Need to Occupy the Home I Refinance With an FHA Mortgage? Do FHA Refinance Loans Include Cash-Out Refinancing? Yes, you can talk to a loan officer about FHA cash-out refinancing on both FHA and non-FHA mortgage loans. The older your original mortgage is, the more borrowing power you may have depending on the appraisal and other factors. Do FHA Refinance Loans Require Credit Checks? Not always. Those who have existing FHA mortgage loans can apply for FHA Streamline Refinancing, which has no FHA-required appraisal or credit check in most cases. Your lender may require one or both, and if your loan exceeds certain parameters you may trigger an FHA requirement for a new credit check. But many will find the FHA Streamline Refinance loan an important benefit. FHA Streamline refi loans do not provide cash back at closing. How Long Do I Have to Own My Home to Apply For An FHA Refinance Loan? In general, you should expect a requirement to have six months of on-time mortgage payments and you should own the home for six months after closing before applying for an FHA refinance loan. Does Refinancing Guarantee a Lower Mortgage Payment? Not necessarily. Any add-ons to the loan amount will increase your monthly payment. Some borrowers choose add-ons like the FHA Energy-Efficient Mortgage to add funds for approved upgrades, but such an addition will be included in the loan amount divided over the term of the mortgage. Ask your lender about these and related issues if you still have questions about how home loan refinancing works.